Best known for his 2017 effort, ‘Flossin Season’. 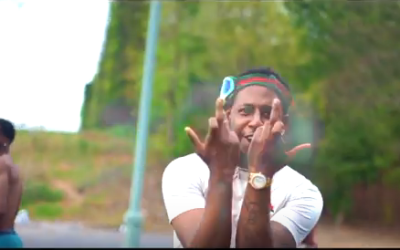 Atlanta recording artist Corey Dollaz prepares for a big 2019 with a trip to Detroit to link up with heatseeking new act Cash Kidd for the big new release, titled, “Hurted My Soul”. To close out 2018, the two rising stars confess their poverty strict-end pasts and the consequences of the choices they’ve made to-date. A compelling tale that will have new found fans curious to hear more about the rising Atlanta-native. On the new track, Corey turns struggles into triumph as he shows his relents with his back against the wall and against all odds. Relying on his smarts, hustle, and determination, Dollaz allowed his music to grow a undeniable fanbase that is steadily growing on a daily basis leading into the new year. Showing a lot of promise, Corey Dollaz delivers his truth for the first time. His most revealing yet, Corey Dollaz talks the importances of “Hurted My Soul” with the following statement. “Hurted My Soul” is available everywhere courtesy of the new imprint Big Dollaz Records. The new single is the first official release from the new imprint and a great setup for many more big records from the rising star to follow in 2019.